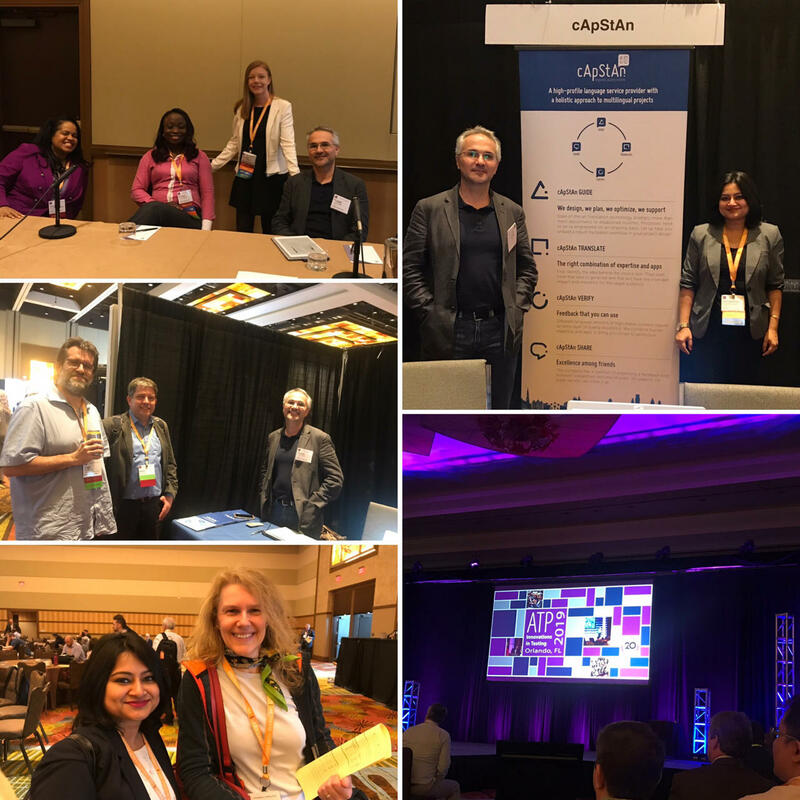 cApStAn LQC is proud to be gold sponsor of this exceptional forum and we were delighted to present with partners Prometric and PMI at a joint session on March 17, where we brought two decades of experience into best practices to follow, and pitfalls to avoid, when planning to go international with tests and assessments. Our warmest thanks go to Sierra Hampton-Simmons, from PMI, and Ibidun Layi-Ojo and Ashley Willnecker, from Prometric, for their valuable input into the session. cApStAn was represented by Musab Hayatli, Managing Director of the cApStAn Philadelphia office. cApStAn has a holistic approach to multilingual projects which ranges from translatability assessments pre-translation, to delivering premium translations fit for use, and providing linguistic quality control post-translation. What follows is a brief summary of the ATP presentation, with a particular focus on the pre-and post-translation processes. When tests are administered in different languages they must measure the same thing. Straightforward translation mostly does not work well. Meaning shifts (which are language-driven) and perception shifts (which are culture-driven) may affect the psychometric properties of items and compromise comparability across languages. Time spent optimising the source version “upstream” drives quality of translated texts and saves time “downstream”. The cApStAn translatability assessment process checks each segment against standardised translatability categories. All issues are documented in a centralised monitoring tool, and, where deemed necessary, alternative text is proposed. A translatability assessment will validate the assumption that a source questionnaire is ready for translation into the intended target languages. It will ensure that the multiple language versions of a document will meet the highest standards of linguistic, cultural and functional equivalence. 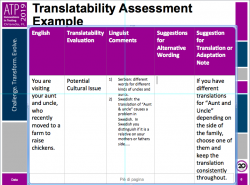 As said above, translablity assessment will save time further downstrean at the post translation stage. If this is not the procedure of choice, once a test is translated, an independent quality check of the translation is always desirable in order to maximise comparability. Translation verification should compare source and target versions segment by segment, check compliance with translation and adaptation notes, with a focus on sematic equivalence. At cApStAn we use a set of standardised intervention categories to report issues detected by the verifiers, and all issues are reported in a centralised monitoring tool. The intervention categories include missing or added information, adaptation issues, inconsistencies, wording issues, register, grammar, syntax, mistranslation, words left in source language, as well as format and layout. 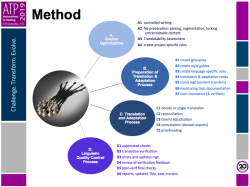 cApStAn has organized, coordinated and supervised the translation/adaptation process in major international large-scale assessments (ILSAs) for two decades. Today cApStAn applies this expertise in multilingual psychological tests and talent management instruments. We have made what we believe is a modest but tangible contribution to this field by continuously shaping, testing and streamlining best practices in test and questionnaire localization, and by promoting them at conferences such as the ATP, E-ATP, I-ATP and ITC. Main photo: Musab Hyatli, Managing Director of the Philadelphia office, and Devasmita Ghosh, Enterprise Growth manager, Brussels office, at the cApStAn booth at ATP 2019.